Argentinian tango, orchestral arrangements and an Abdul Halim Hafez tribute — the Sharjah World Music Festival (SWMF) is back in full swing. The week-long festival begins on January 13, kicking off 2018 with a crescendo of talent. Now in its fifth edition, SWMF runs until January 19, and welcomes to the UAE a slew of musical acts, both regional and international. Styles range from jazz to fusion to Oriental to classic. Sarah Houchi began with the Damascus Choir and performed many concerts at the Damascus Opera House, including Wesaa Al Sama in honour of legendary songstress Fairouz. She is joined by Ukrainian guitarist-singer Jenny, who sings in several languages. 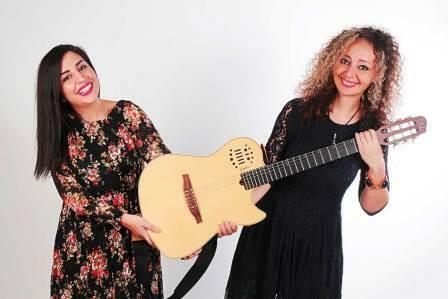 Their show is called Harmony, and it bridges Eastern and Western melodies in a series of Arabic and non-Arabic songs. Flamenco guitarist Vicente Amigo is known for his bold, unorthodox style, appealing to various audiences. The Spanish composer and virtuoso won a Latin Grammy award in 2001 for Best Flamenco Album (his winning record was Ciudad de las Ideas). Saif Shaheen is an Iraqi composer, guitarist and songwriter, known for his fusion of Eastern and Western melodies, as well as exploring themes of belonging and estrangement. He incorporates a broad range of sounds in his work, influenced by acts such as the Rahabnehs and the Beatles. Abdul Halim Hafez’s legacy will be honoured by three Egyptian artists — Ahmad Effat, Mai Hassan and Mohammad Metwalli — to commemorate the 40th anniversary of his death. The acts will perform a collection of Hafiz’s most popular songs with the help of the Cairo Opera House Orchestra, conducted by Mohammad Esmail Al Mouji. Hafez was an actor, singer and producer who died in 1977 at the age of 47. He was nicknamed the Dark-Skinned Nightingale, known for his warm warble and handsome looks. This Argentinian duo will put on an all-dancing, singing show to explore the story of tango. Singer, pianist and music teacher Flor Milagros joins Matej Sodja and Diana Radzhabaeva. Zitherist and Qanun instructor Bassam Abdul Sattar combines Turkish and Arabic tunes, setting his eyes on a multicultural audience. He delves in and out of jazz, blues and original compositions. Abdul Sattar performs with the band Alwan, whose name translates into Colours, referring to a diverse portfolio of genres and arrangements. Enchanted Chords is a homegrown ensemble, courtesy of teachers and students of the Furat Qaddouri Music Center in Sharjah. This group of performers draw upon cultural creativity to present a charismatic assortment of work. Ukraine-born Olesia sings in several languages, including English, Russian, Spanish, Portuguese and Italian. She began aged seven at the Folklore Theatre in her homeland. Olesia is known for her smooth, elegant style as she takes on classical and contemporary jazz. She will perform with the Gossu Band. Composer Samer Abu Reslan mixes contemporary Arabic and classical styles with Andalusian influences. He has a history of performing with orchestras, including the Zenobia Orchestra in 1993. Abu Reslan will perform Oriental compositions with his group Arabesque Classics. Classically trained Hungarian violinist Katica Illenyi is known for her versatility. The singer performs folk, klezmer and Manouche jazz; she is also dancer and Theremin player. Illenyi will be joined by conductor Mohammad Othman Siddiq and the Sharjah World Music Orchestra. Kurdish singer Ronahi performs a fusion genre dubbed Qudoud Halabiya. This is a kind of improvisation that originates from Aleppo in Syria. It joins Arabic and Kurdish music. Ronahi in 2012 joined the Arab Oud House (Bait Al Oud) in Abu Dhabi. Lebanese singer Ghada Shbeir and Syrian act Rasha Rizk will sing classical Arabic music and opera. Shbeir, the winner of the BBC Radio 3 World Music Award, is known for mixing traditional genres with Syriac and Maronite hymn, the Andalusian muwashahat, and the improvisational mawwal style. Rizik fuses Arabic music and jazz. Abdullah Al Ruwaishid is a Kuwaiti singer, with a discography that dates back to his 1983 debut album Rehlati (My Journey). Balqees Fathi, who goes professionally by her first name, is a Yemeni-Emirati singer, and a member of the UAE National Symphony Orchestra. Balqees has performed several operatic concerts in four languages: Arabic, English, French and Italian. This event was originally set to open the Sharjah World Music Festival on January 12, but was postponed to the final day. The Sharjah-based musical institute Furat Qaddouri Centre will hold a daily singing competition at Al Qasba Plaza. The aim of the contest is to showcase skill and young talent in a nurturing and fun environment. The singing competition will be open to people of all nationalities and ages from 6.30pm to 7.30pm nightly, with prizes awarded to the winning contestants. Tickets for the Sharjah World Music Festival are priced and sold separately for each event; they are available in person at the SWMF venues and online. A select number of concerts are free-to-attend. Visit sharjahworldmusicfestival.com for details.